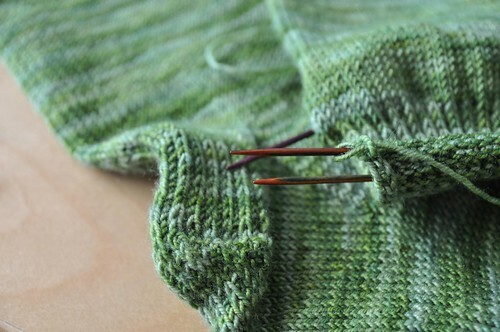 Finally measured my giant wool-eater against the cushion – why is this cover taking so long?! Because it’s an 18″ pillow, that’s why. Hrmph. 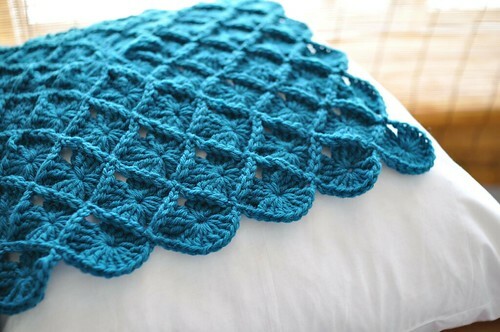 I can really only do 1 tier at a sitting now, because my wrist doesn’t love crochet. 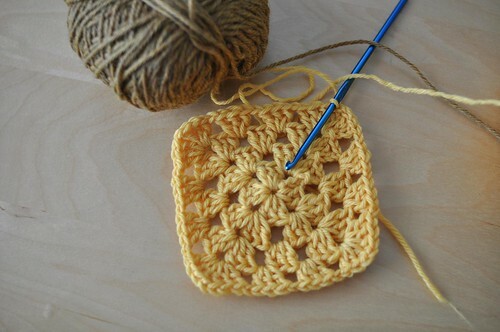 But for some more instant gratification, I started a yellow granny square for the back of the pillow. Ahh, that’s better! 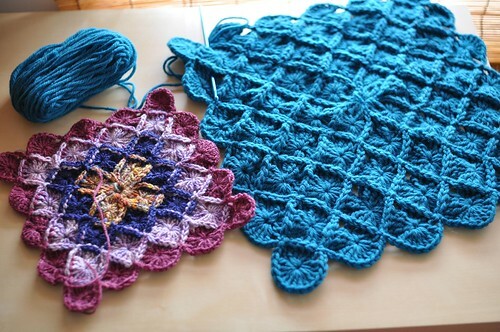 The Wool-eater has an extra wrap on each stitch (double yo) and lots of extra twists and turns, so this double crochet granny square feels a lot quicker. 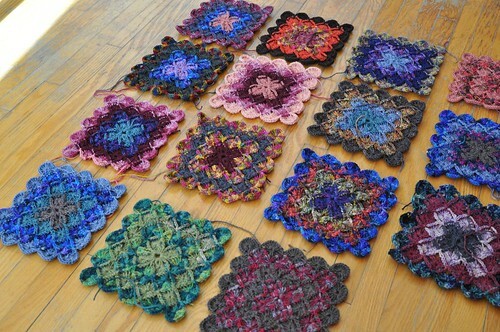 Alas, I must put down the crochet and work on my deadline knitting project. 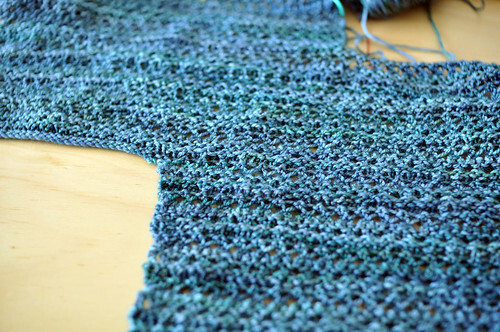 It’s a sweet lace piece for my upcoming collection, in Malabrigo sock. We’ve got a date picked for the photoshoot, a photographer, a stylist, a model and a makeup artist – exciting!